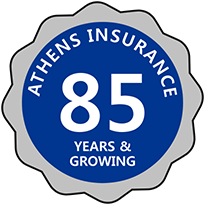 Athens Insurance was originally founded in 1931 in Athens, Tennessee, to serve the personal and commercial insurance needs of clients in and around the Southeast. Since that time we have expanded to provide services not only to the southeastern United States but also across the country. As we all continue to face the current economic challenges, Athens Insurance continues to be a vibrant force in these challenging times just as when the agency was founded in 1931 during the Great Depression. Under the leadership of the owner, Allen F. Carter, Athens Insurance has earned a reputation of integrity and excellence in products and services. We provide a full range of tailored property and casualty solutions. In addition to our own professional staff and value-added services, Athens Insurance is able to provide the clients a wide array of resources through our affiliations. Athens Insurance is headquartered in Athens, Tennessee, a small college town with easy access to Chattanooga, Knoxville, Nashville, Kentucky, Georgia, Alabama, and North Carolina. We also have a second branch in Chattanooga, TN.